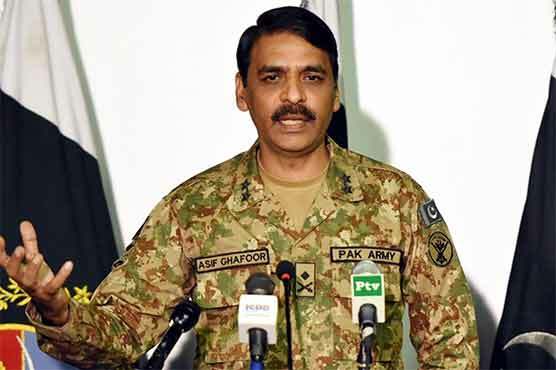 RAWALPINDI: Pakistani military’s chief spokesman Major General Asif Ghafoor on Saturday rejected speculation that the army was planning to bring in a technocratic government or impose martial law in the country, categorically stating that there is no threat to democracy from the Pakistan Army. “There is no threat to democracy from the Pakistan Army; [but] there could be a threat to democracy if its [democracy’s] requirements are not being met,” Gen Ghafoor said while addressing a crowded press conference at the General Headquarters (GHQ). The presser was organised to elaborate on the recovery of a Canadian-American family from Taliban custody and respond to the government’s criticism of the army for its commentary on Pakistan’s economic conditions. Responding to Interior Minister Ahsan Iqbal’s criticism of the ISPR commenting on matters of the economy, Gen Ghafoor expressed his disappointment at the reprimand. “I was disappointed as a soldier and a citizen of Pakistan. We conducted a seminar with the Federation of Pakistan Chambers of Commerce and Industry (FPCCI). There were three former finance ministers, one former State Bank governor [in attendance]. The army chief gave a keynote address. I talked about it in my beeper [to a private TV channel] as well,” he said, adding that he had only spoken about issues that the army chief had also talked about. Earlier on Saturday, Prime Minister Shahid Khaqan Abbasi said that military dictatorship always halted progress of the country. The premier further said that the people of Pakistan should decide who they want in the government and who they don’t. On October 11, Army chief General Qamar Javed Bajwa had voiced concerns at the country’s ‘sky high’ debt and called for broadening the tax base and bringing in financial discipline to break the ‘begging bowl’. Gen Ghafoor said security and economy were interlinked and could not function if one of the elements was not in place, adding that the army would continue to offer its assistance in all sectors of the country. “Never did I say that Pakistan’s economy has been destroyed or something of that sort,” he clarified. “We have all done a lot of work for the economy. And I have said the same thing: we have to sit together. It is a very simple [request]: that everyone needs to cooperate,” he said. “The army chief told the traders [at the seminar] in informal talk that everyone should play their role [for the country’s economic betterment]. He told them to pay their taxes,” he said. “Last year, the taxes recovered were only 39 per cent, and from private sector the recovery was only 40 per cent. It is too meagre,” he said. “That is all I said — that the tax base needs to be increased — and I stand by it,” he said. “When I say something here, I am speaking on behalf of the armed forces. I am not speaking in a personal capacity, as I am the spokesperson of the armed forces,” he continued. “The nature and character of war has changed because the direct strategy [of waging war] has been replaced by indirect [warfare]. Social media has a huge role in this. Do not forward as received. Research. Don’t spread misinformation,” he said tangentially. On being asked why the debate was brought to the public sphere, Maj Gen Ghafoor said the army had not started the debate. “A lot of seminars happen. Who was present in the seminar? Traders and economists,” he said. “Karachi’s security situation has improved, which is in the interest of traders,” he explained as the reason the seminar was held. “It [the economy discussion] is about [a glass] being half filled and half empty. Should we be satisfied with half filled? Should we not take it further? If our economy is self sustained and better, the national security decision-making will be much independent [from foreign pressures],” he said. “There was also talk about a financial emergency, but the conclusion was that ‘no; the work is going on and it will continue’. This is a positive process that needs to be looked at positively, and we will continue to play our role,” he said. “I don’t think the seminar and the conclusions of the seminar are in question,” he said. Gen Ghafoor also said that the army was subservient to the constitution and adhered to civilian supremacy. “We will do everything that is in accordance with the constitution and the law,” he added, referring to the Rangers’ operation in Punjab and other military operations that were launched with the approval of the civilian governments. Gen Ghafoor had started off the presser by recalling the new US policy on South Asia and Pakistan’s military and civilian response to it. “Our line was that we have done a lot in Pakistan over the past few years and found great results. There are no more no-go areas in this country,” he began. “In this regard,” he continued, delving into Pakistan’s response to the new policy, “we undertook an operation upon American intelligence […] it was shared with us,” he stated. “We cordoned them and fired on their vehicle. Our first priority was that the captives are brought out safely. We wanted to isolate the terrorists and captives so that the captives may remain safe,” he said. “There was a driver and three armed people,” he said. “There was also an Afghan refugee camp nearby,” where Gen Ghafoor said the kidnappers had fled to. “We have been saying repeatedly that the Afghan refugees need to be sent back. It is difficult for us to distinguish who is a terrorist and who is a refugee [in situations like these],” he said. Returning to engagement with the US, the military’s spokesperson said that initiatives had been taken and the US had responded. “You have seen the results, and you also saw Trump’s statement [praising Pakistan following the recovery of the abductees],” he said. “We take it as a good start, and if a trust-based relationship continues, there will be positive results,” he added. “The Afghan war could not have been won without Pakistan,” he said. “But we need to cooperate in ways that are mutually beneficial. Engagement builds trust. You can have apprehensions, which could be debated about. Security cooperation is ongoing and will continue,” he added. 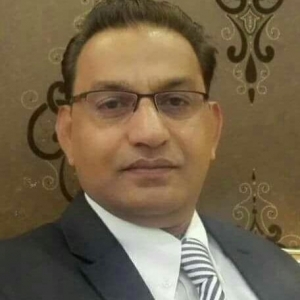 Referring to the possibility of a joint operation with American troops on Pakistani soil, raised by Foreign Minister Khawaja Asif, the army spokesman was quick to dismiss any possibility of the same, saying he was doing so on a technical point. “In military terminology, a joint operation means forces of both countries conduct an operation. There is no question of it. Full stop,” he said. The very fact that he is saying so, means that army is a threat to democracy. The army always conducts its business behind the scenes and now the Sharif govt is forcing them to come into the open. This is annoying them and hence the statement. Everyone knows that the establishment is responsible for the dethroning of Sharif and now that Sharif is not willing to just give up, army is playing old tricks. Well I’m a Pakistani & I know that Nawaz Shareef received cash in dollars from Indian government to work for their interest however, this fact is still hidden but what is not hidden is that Nawaz couldn’t prove from where he received all that money. So, we will not tolerate a corrupt and coward person. Nawaz is not our leader ! Paid keyboard goons dont surprise me. There is no democracy in the country. Merit is dead. PPP got a chance to establish rule of law and they blew it to smithereens. PMLN got a chance to establish rule of law and the tore the consistution to pieces. Once the corrupt are hung by the neck; rule of law will establish and democracy will prevail. Until then; dont bad mouth the only dept that despite its ineptness and dwindling patience is putting the fear of God in to the corrupt officials of the GoP. I beg to to comment that we are so ignorant of our Lord and Maula, Allah SWT; His religion of Islam, and His guidance with Qur’an that you might hesitate to prnt it and send it for moderation.